I listened to this Sutton tape when it first came out, and together have all his books and tapes. Sutton was quite the patriot, my friends. Sadly, he passed in 2002, or so. He won’t leave you guessing who later built up today’s Red China! 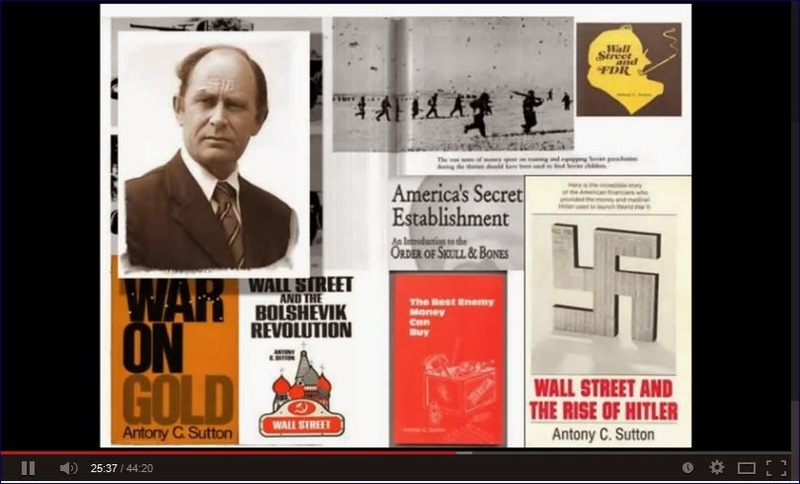 A classic lecture by Professor Antony Sutton, who taught economics at California State University, and was a research fellow at Stanford University’s Hoover Institution. The purpose for these Wall Street policies was very simple: to create, and globalize, what Sutton calls Corporate Socialism. A system under which everything in society is ruled by the state, and the state is, in its stead, controlled by financiers who, hence, get to rule and manage society, to their liking. In other words, to get society to work for the financiers, using a dictatorial socialist state as the middleman.